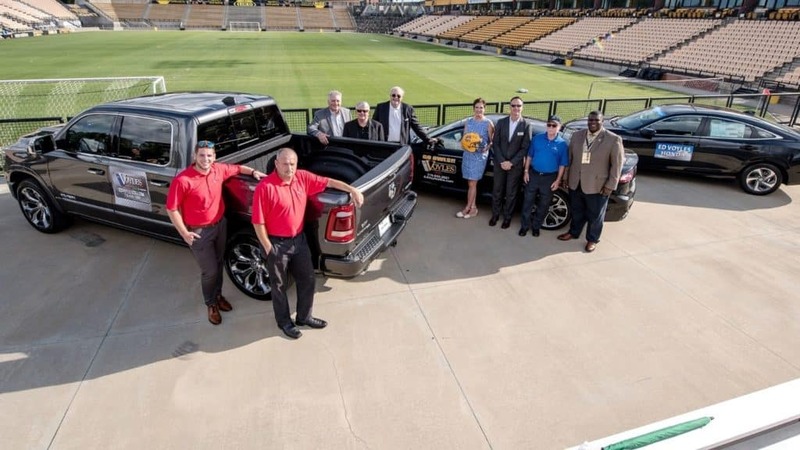 Ed Voyles Automotive recently joined forces with the Kennesaw State Department of Athletics and signed a partnership agreement which makes Ed Voyles Automotive the official car dealership for the Kennesaw State Owls. The new agreement is effective through the 2022-23 athletic year. Serving the Marietta, Smyrna, Kennesaw, Woodstock and Metro Atlanta area with the largest selection of Chrysler, Dodge, Jeep and RAM vehicles, Ed Voyles is pleased to support Education and the local community by beginning this partnership. In addition to serving as Kennesaw State’s official car dealership, Ed Voyles Automotive will also partner with the Athletic Department to launch an exciting new fan loyalty app. The app will be called “Owl Rewards” and will be launched in the coming weeks. Owl Rewards is intended to boost attendance at Kennesaw State Athletic events and provide a boost to the overall fan experience. Participating fans will have the opportunity to earn exciting prizes based on their attendance at athletic events and their level of engagement with promotional activities. While the partnership with Kennesaw State is new, Ed Voyles Automotive is always proud to support the Marietta, Smyrna, Kennesaw, Woodstock and Metro Atlanta community and also offers several special programs to eligible buyers. Proud to Partner with Kennesaw State, Our Local Community, and With You! We are proud to partner with and support the Kennesaw State Athletic Department and have our name displayed in their Fifth Third Bank Stadium and Convocation Center but this is just one of the ways we support our community and the schools in Marietta and Metro Atlanta. 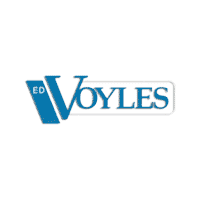 At Ed Voyles Automotive we also strive to form a partnership and truly serve the unique needs of each customer we work with. Whether you are just getting started and need some help refining your search for a new Chrysler, Dodge, Jeep or RAM vehicle or you have more definite ideas about what you want and need help working through financing, we are here to serve you. If you are in the market for a new or pre-owned Chrysler, Dodge, Jeep or RAM head to Ed Voyles Automotive for a superior car-buying experience. At Ed Voyles Automotive we have an excellent selection of vehicles and strive to surpass your expectations throughout the car-buying process. Conveniently located to the Marietta, Smyrna, Kennesaw, Woodstock and Atlanta areas at 789 Cobb Pkwy S, Marietta, GA we are here to benefit the local community whenever possible, and deliver a superb vehicle selection and car-buying and on-going service experience to you. Come in and visit us today!